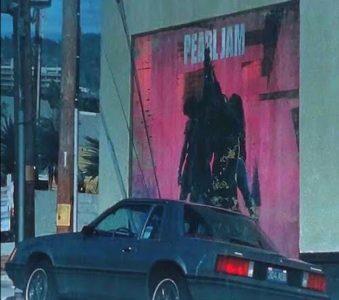 Netflix released Mötley Crüe’s The Dirt some days ago and a murale of Pearl Jam‘s Ten is used during a scene in the film. The Dirt is a 2019 American biographical drama film directed by Jeff Tremaine from a screenplay by Rich Wilkes, about glam metal band Mötley Crüe. The Dirt was released digitally on Netflix on March 22, 2019.